They cancelled the 3rd day of the Heineken Regatta. There was not a bit of wind. you never can tell ! check the web site for the results for the 2 days of racing! 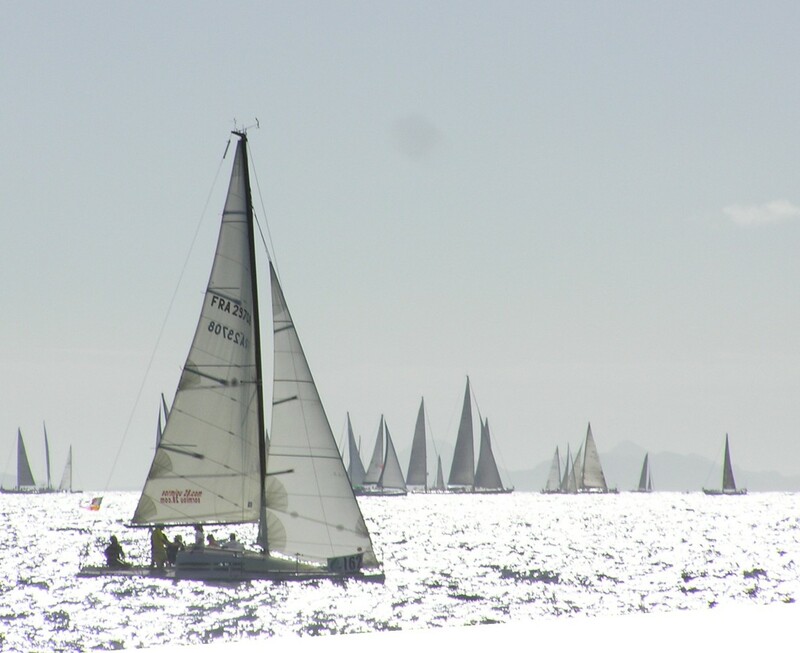 Day 1 of the Heineken Regatta. It was a beautiful day although the winds were light. Today was the around the island race. I am sure it hasn't even finished yet. No one was moving too fast although it was better than last year when everyone just sat in the water. Here are a few pictures of the boats today. Party tonight on the boardwalk in Philipsburg! The island is hopping these days! we are of course in the height of tourist season with sometimes as many as 5 ships in Philipsburg. 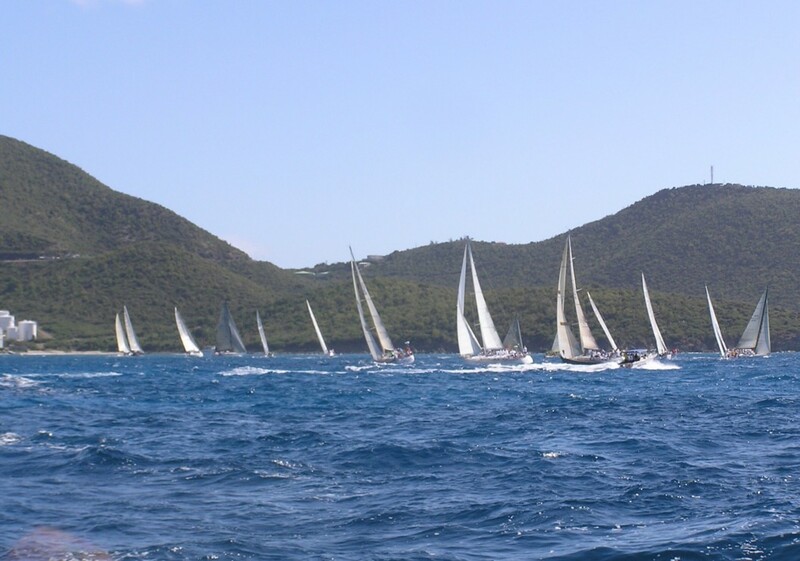 and the 26th annual Heineken Regatta starts tomorrow. It's three days of racing and three days of partying! This year there are over 260 boats registered...a record! I'll be out on a spectator boat tomorrow morning watching the beginning of the races. Of course, the wind has died down considerably unfortunately. I think they are only expecting a steady wind of around 9 knots. 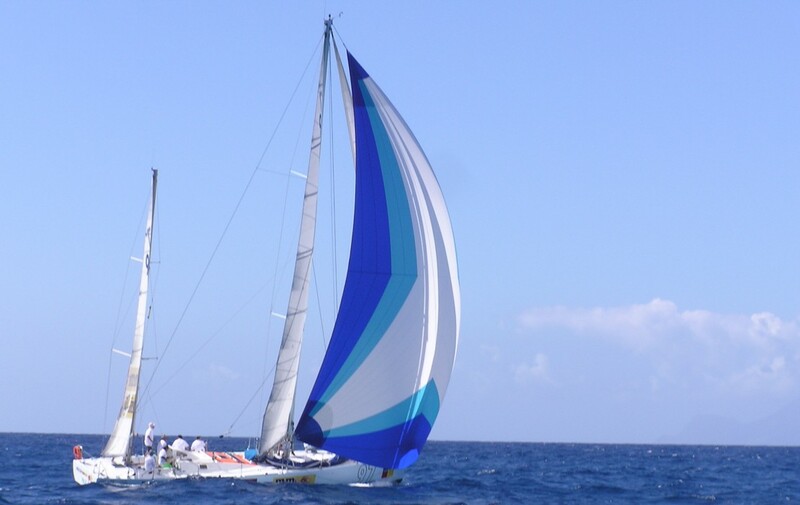 The first day is the around the island race, so it will be a long day for the sailors. 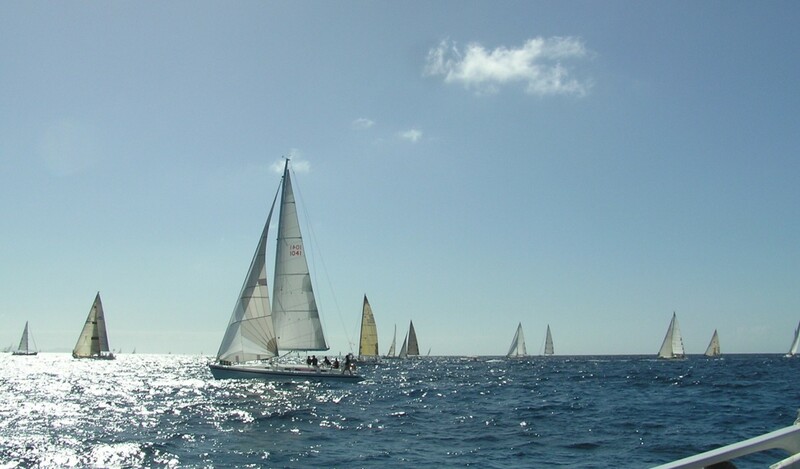 We are looking forward to a great weekend of sailing fun! Did the weather ever change today! the winds have picked up again. it is cloudy. Not much rain so far. Even my house guest from the North were cold today! We're all wearing long pants! It's definitely not a beach day or a boating day! Wind, wind, wind and more wind! and then... Whoosh, horizontal rain! and then... whoosh, it's gone again! my plants are all knocked over by the wind. The weather man says 21 MPH winds but I can tell you that those gusts are much higher. seems like it's been windy forever! We could be doing some serious wind surfing in this weather! It's a cloudy breezy day in St. Maarten. 11:00 AM NHC advisory. Could this turn into Alpha? I know we are all exhausted watching these storms. structural damage will be catastrophic unfortunately. GREAT BAY, St. Maarten (GIS) ? Disaster Management Coordinator/Fire Commander Winston Salomon, would like to remind residents that there is still seven weeks to go before the end of the 2005 hurricane season. Salomon is urging residents to continue to monitor weather reports and to maintain a state of readiness to take action should this be warranted due to a hurricane threat. Renowned hurricane forecaster William Gray and his team at the Colorado State University in their most recent seasonal update says that the October month will continue the trend of above average hurricane activity that we have witnessed in the preceding four months of the hurricane season. 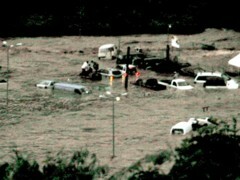 The 2005 season has already been one of the most active and is already the most destructive season on record. Gray is forecasting three named storms of which two will become hurricanes and one will become a major hurricane with wind speeds of over 111 miles per hour. ?Two named storms, Stan and Tammy have already formed for the month of October, however mother nature does not work with a schedule, and therefore residents are advised to continue to maintain a state of preparedness until the end of the hurricane season which is November 30,? Disaster Coordinator Winston Salomon told the Government Information Service (GIS) on Friday. There are two storm names left on the list namely, Vince and Wilma. Should the number of named storms surpass the list; the Greek alphabet will be used. The first two names will be Alpha and Beta. MedPRO - Designed to broaden public knowledge by informing. The Value of Knowing First. GREAT BAY, St. Maarten (GIS/ESF-8) ? Tropical Storm Philippe is expected to pass well East of St. Maarten late Monday and early Tuesday according to the Meteorological Service of the Netherlands Antilles/Aruba, however residents are advised to continue to monitor the progress of this system as it continues to strengthen. Philippe is expected to become a category 1 minimal hurricane on Monday that will pass approximately 300 to 350 miles east of the island. Weather service models indicate that Philippe, the 16th storm system of the Hurricane Season, does not pose a direct threat to St. Maarten. 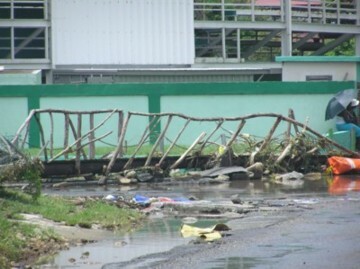 The Office of Disaster Management & Preparedness (ODMP) is urging residents and building contractors to be ready to take quick action should this be warranted if the system was to take a more westerly track towards the islands. The Met Office will issue a Small Craft Advisory as of Monday 12.00PM. Swells generated by Philippe will cause some rough sea conditions starting Monday. Additional information pertaining to the progress of Philippe will be provided via the Government Information Service (GIS) Emergency Support Function (ESF-8) via the local media until the system safely clears the Lesser Antilles island chain. the system South and east of us ( Invest 95L) seems to have a chance of developing into something. showing signs of developing a surface low pressure center. and the models have changed, with some of them bringing it closer to the Northern Caribbean, so we all need to be watching this very carefully. GREAT BAY, St. Maarten (GIS) ? Disaster Management Coordinator/Fire Commander Winston Salomon, said on Thursday that the Office of Disaster Management & Preparedness (ODMP) is currently closely monitoring the progress of a vigorous Tropical Wave that was located on Thursday at 5.00pm 850 miles east of the Windward Islands. Residents are being advised to monitor the progress of this system which has the potential to become a Tropical Depression over the next 24 to 48 hours. ?We are coming up to the weekend and we have a weather system east of the Southern Windward Islands that bears watching. Should the system develop further, the community will be informed accordingly via the appropriate media,? Disaster Coordinator Salomon told the Government Information Service (GIS) Emergency Support Function (ESF-8) on Thursday. Disaster Coordinator Salomon added that the hurricane season is not yet over and that residents should continue to be ready and prepared to take action should that be required. So far for the season, 15 tropical storm systems have already formed of which three have been classified as major hurricanes (Dennis, Emily, and Katrina). The 2005 hurricane season concludes on November 30 which means 10 more weeks to go. Today is hot and very hazy and there is no wind. If you look at the photo below, you can see the SAL is right over the Northern islands. by the way, a gentle reminder to make a donation to help Gert with the costs of this web site, if you haven't already done so. 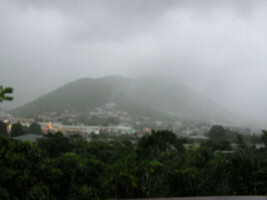 The weather is St. Maarten is beautiful this morning after a brief shower. Our hearts ache for the devastation Katrina brought to the Gulf Coast and in particular New Orleans. I hope everyone who is able sees fit to donate something to those poor people. and, in the spirit of donations, I just happened to read something on the stormcarib main page from our host, Gert. As a side note I am now accepting donations through the Amazon.com Honor System to off set the operating cost of this website so that I don't have to put up any ugly banner ads. Dutch Marines are practicing how to react when there is landfall on Sint Maarten. We can see them moving containers and come a shore with lots of stuff. Conditions are far from a hurricane situation. It's a beautiful day on Sint Maarten. From where i live you can tell how clear it is by counting the other islands. Today we can see St. Barths, Statia, Saba, St. Kitts and even Nevis. To see Nevis is something that happens not often. Sea very calm and no wind, thus very hot. Seems 91-L is dissipating and moving way north. Behind that something interesting rolling of African coast near 8N. Lets hope Katrina was the last with a lot of damage. Don't seems so; September still to come. GREAT BAY, St. Maarten (GIS) ? Chairman of the Emergency Operations Center (EOC) Governor Franklyn E. Richards, is once again calling on the St. Maarten community to make sure they are ready and prepared for a hurricane strike should this occur during the balance of the season which ends November 30. Governor Richard?s appeal comes on the heals as the fourth hurricane of the season, dangerous Category Five Hurricane Katrina according to Sunday weather forecast, makes its way towards the State of Louisiana on the U.S. mainland in the Gulf of Mexico. ?Our prayers and thoughts are with the people and Government of the State of Louisiana at this time. On Monday morning Hurricane Katrina is expected to make landfall causing catastrophic damage to the city of New Orleans and surrounding areas. ?Throughout the weekend we have seen the devastation caused by Katrina in Florida killing approximately seven persons and causing severe flooding as a category one hurricane. This demonstrates once again and is a reminder to us here on St. Maarten, that we must be ready and prepared to take action when the order is given,? 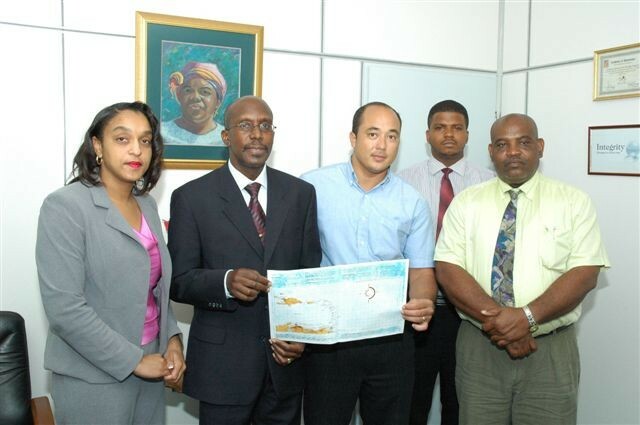 Governor Richards told the Government Information Service (GIS) Emergency Support Function (ESF-8) on Sunday. Disaster Management Coordinator/Fire Commander Winston Salomon, told GIS that the Office of Disaster Management & Preparedness (ODMP) is currently monitoring the progress of newly formed Tropical Depression #13 (TD#13) which was located less than 1000 miles East of the Lesser Antilles at 5.00pm on Sunday. This depression is expected to pass well North of the Lesser Antilles according to the National Hurricane Center. The progress of a Tropical Wave out in the Atlantic Ocean behind TD#13 which has the potential to become Tropical Depression will also be closely monitored. Should any one of these systems develop further, the community will be informed accordingly. Disaster Coordinator Salomon added that he will be leading a delegation to Montserrat on Monday on a fact-finding mission regarding the district early warning sirens that Montserrat has in place to alert the populace to a possible volcanic eruption. Salomon told GIS that the Island Government is looking into the possibility of also utilizing a similar system to alert the St. Maarten community to a possible calamity. In total, the 2005 hurricane season is likely to yield 18 to 21 tropical storms, with nine to 11 becoming hurricanes, including five to seven major hurricanes. So far for the season, 11 tropical storm systems have already formed of which three have been classified as major hurricanes (Dennis, Emily, and Katrina). A group of about 100 Royal Dutch Marines, based in Aruba and Curaçao, will be arriving on Sint Maarten on Monday August 29th for the annual Hurricane Exercise (HUREX). The goal of HUREX is to familiarize the Marines with the situation in the Windward Islands, know the locations of the hurricane shelters, know the partners in the disaster management system and to prepare themselves in the event the Marines have to render assistance if a hurricane might threaten the islands. Tuesday and Wednesday will be used for theoretical classes and to familiarize the particpants with the islands. On Wednesday night the actual hurricane simulation will commence. Shelters will be manned in Sint Maarten, Saba and Sint Eustatius. Members of the VKS and Red Cross will assist the Marines similar to an actual hurricane situation. Close cooperation will be established with the disaster management system and ESF-7 who is in charge of shelter management. The shelters will be manned until early Thursday morning, after which the exercise will move to the Mullet Bay area, where certain situations will be simulated. The group will leave the islands on Saturday September 3rd. Also participating in this HUREX is the transport vessel "Pelikaan" and the frigate "Van Amstel". GREAT BAY, St. Maarten (GIS) ? The Office of Disaster Management & Preparedness (ODMP) would like to inform residents that the remnants of Tropical Depression #10 (TD#10) which is now a low pressure area located less than 350 miles East of the Leeward Islands on Wednesday afternoon, has become better organized and has the potential to redevelop into a Tropical Depression. Residents are hereby advised to monitor weather reports on Thursday with respect to the progress of this system as it is expected to pass North of St. Maarten. The Netherlands Antilles Meteorological Service based on its Wednesday weather report says that most of the inclement weather associated with this system will likely remain out of the local region. Cloudiness and shower activity will develop over parts of the local islands and adjacent waters as well. There are some uncertainties concerning further development of this weather system, therefore the Met Office is advising the general public to closely monitor the progress of this system in case it strengthens into a Tropical Depression. Showers and thunderstorm activity are expected during early Thursday according to the Met Office which could aggravate the potential for localized flooding. A flash flood watch may be required with effect as of Thursday morning. it is a bright sunny day here although we had some showers this morning. I think we may get some more showers later. On another note, out government here just approved a dolphin project, in spite of many protests from the community. It's sad, especially after I read the report from Antigua on trying to save the mother dolphin and her baby. This looks like it has the chance for quite a bit of development. the forecast models show it going North of the islands. Let's hope those forecasts are accurate! 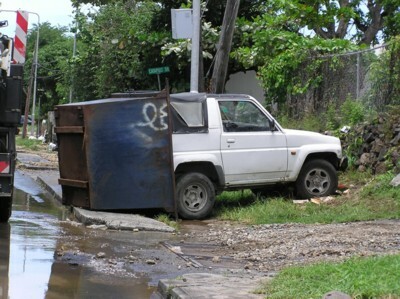 This morning the local newspapers are reporting that the flash floods from last Saturday's storm have left the island government with approximately $1,000,000.00 in damages! This does not even take into account individual property owners losses. 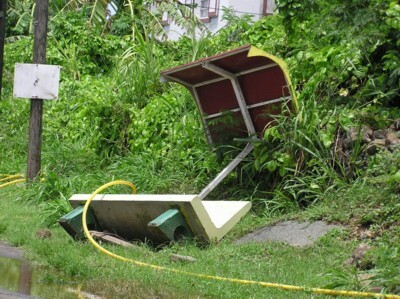 so much damage from the tail end of a tropical wave. St. Maarten will be recovering from that storm for some time, I think. We should never underestimate the power of Mother Nature. all I can say is WOW!!!!! SCARY!!!!!!! This morning in the newspapers were pictures and news that the man missing..his body was found in the fresh water pond behind the Seventh Day Adventist Church in Zaegers Gut. The man was swept away in Saunders all the way through the gut to the fresh water pond. The papers are also full of stories from flood victims. we are lucky there were not more fatalities I think. There also is a comment from the meteorologist at the MET Office here, saying that a flash flood warning should have been issued after Friday's heavy rain because the tropical wave was still in the vicinity and the ground was saturated from Friday's rain. He said that he is not responsible for warnings any longer. That responsibility has been taken away from him and the meteorolgists in Curacao are responsible for that. In Curacao? how crazy is that??? PHILIPSBURG, St. Maarten - Allow me, to open this press conference, by expressing, sincere condolences, to the family and relatives of Ms. Ingrid Maccou, who lost her life, as a consequence of the unexpected flashfloods of Saturday. I express this on behalf of the government of St. Maarten, as well as that of His Excellency the Governor of the Netherlands Antilles and the Prime Minister of the Netherlands Antilles. Our thoughts and prayers are with them as is with friends and colleagues of one person missing, and all those persons who may have suffered material damage. Just this morning, a thorough review of all that transpired over the weekend was conducted during a meeting held at the offices of the emergency disaster coordinator, Mr. Winston Salomon. In attendance were: the Chief of the Police Department, Commissioner Holiday, Commissioner for Public Works, R. Marlin, senior officials of VROM / Public works, the met office, G.I.S. and the Fire Department. 1. 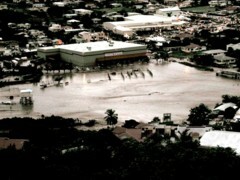 St. Maarten experienced a sudden cloudburst over a certain area (Cul de sac area) late Saturday afternoon; this situation had not been expected nor could be anticipated, based on weather projections. 4. The weather services had continued to track the weather system, and had indications on Friday that the situation would be improving throughout the weekend; a small craft advisory had been issued. 5. The situation on Saturday was worsened as a result of the already heavy rainfall of Friday, which saturated the grounds, so that additional excess water had no where to go. 6. 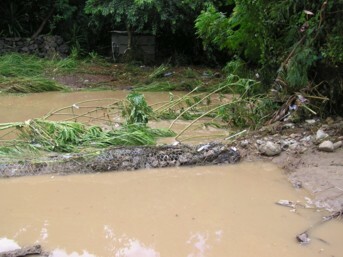 Hampering the work of public works and other services was the great amount of household debris / garbage blocking entrances to drainage systems; cars submerged under water; a bridge at Emilio Wilson park floating across the road to the entrance of the Cooper /Lake Ball Park etc. 7. Fire trucks and police vehicles were en route to a number of points where assistance had been requested, but could not get there when fire trucks started to get inundated. 8. Police were also unable to get into the Ebenezer and Betty?s Estate areas, due to floodwaters hampering free passage. 9. Trenches were blocked so that water could not flow freely, as is supposed to be the case, under normal circumstances. 10. Adding to the difficulties of responding to the unfolding situation was the timing of the flooding; it happened as a day was ending, on a weekend, at the end of the month ? when many cars and persons were on the road and /or returning home after completing their month-end and weekend shopping. This obviously led to congested road ways late Saturday afternoon. It should be mentioned that with regards to water levels in the ponds after the Friday thunderstorm / lighting, the pumps were put on at 6 p.m. on Friday and have been running ever since. With regards to the fresh water pond: water level has to be at a certain level, before the excess water can be drained to the sea. All in all, this has been an unfortunate set of circumstances, and which is reason for us to continue being prepared. We were hit by sudden extreme volumes of water, which flows rapidly and causes inundation and which because of its nature is difficult to forecast. With regards to flood advisories issued, it has become clear that there was a miscommunication between the met services and our information services regarding the issuance of a flood advisory on Saturday. One should understand that with an approaching storm or hurricane there is ample time to react and prepare ? which was not the case over the weekend, based on the available information known to authorities. PHILIPSBURG, St. Maarten - A person of Indian origin, namely Amareal Sumit Acharya, has been reported missing to the Police authorities after the cloud burst of late afternoon Saturday in the Saunders area. Governor Richards as Chairman of the Emergency Operations Center (EOC) has called for a press conference on Monday, August 1st at 10.30am at the Government Administration Building where he will give a complete report of what transpired late Saturday, July 30th. Governor Franklyn E. Richards earlier on Sunday in a statement extended his deepest sympathy to the Maccou family who tragically lossed Ingrid Maccou late Saturday in the Saunders district area during flash flooding. 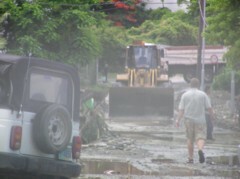 Governor Richards who returned from an official visit to Curacao Saturday evening, was given a tour of the island along with Commissioner responsible for Public Works Roy Marlin to get a first hand assessment of the situation after the heavy rains hours earlier from a passing Tropical Wave. The preliminary assessment revealed that damage has taken place to the road infrastructure where flood waters lifted the asphalt off some of the road network. Government assessment teams are busy compiling damage reports with respect to the estimated costs for repairs. Clean-up crews have been busy since last night (Saturday) with the removal of debris and this process will continue today, Sunday. Commissioner Marlin pointed out that the storm drains worked, however a lot of debris among which household debris caused blockage problems. The drain near Ebenezer by the L.B. Scott Road where infrastructure work is being carried out was open to facilitate the flow of rain water from the surrounding hills. Authorities started to pump water from the Salt Pond on Friday while this activity was started at 8.00pm on Saturday evening for the Fresh Water Pond. The objectives here are to lower the water levels in order for both bodies of water to be able to contain additional water should there be any more heavy rain showers thereby preventing flooding of surrounding residential districts. Preliminary assessments of the school infrastructure so far reveals that the Ruby Labega Primary School suffered water damage to some of the classrooms. Additional surveys will continue on Sunday with respect to the other school buildings on the island. The Meteorological Service of the Netherlands Antilles/Aruba section St. Maarten reported 22 millimeters of rainfall at the airport which is not representative of what had fallen in the hillside areas of St. Peters. The office reports that this was a cloud burst from a Tropical Wave system and the cloud burst was not expected. As of Saturday a flash flood advisory was issued with effect until further notice. Some scattered shower activity is expected to continue throughout today, Sunday. The public is requested to be patient as road crews are busy cleaning and clearing the road network especially in the St. Peters, Saunders areas. 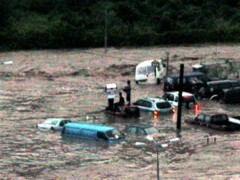 I just received some more flood pictures. These are of the Jose Cooper Ballpark and the Cost U Less store. 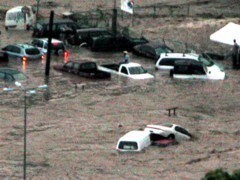 Last night's rain storm in St. Maarten caused serious flash floods. There is considerable damage in the area of Saunders and St. Peters. Fences are down, cars are overturned, houses are all flooded out, the roads are still flooded. and, worst of all, one death is reported. There are rumors of 3 other people missing. We hope these are just rumors and nothing more. I took a quick drive and tried to take some pictures. The traffic is horrendous though and the police are asking everyone to stay off the roads as they attempt a massive cleanup. I will post tomorrow after the newspapers come out as I am sure then there will be much more comprehensive reports on the damage. It's awful though and the St. Maarten community is in shock today. 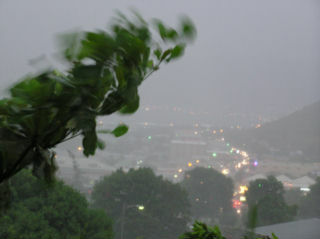 It's another heavy storm over St. Maarten tonight. We have just had 5 inches of rain in a little over an hour. For a little tropical wave, this is something else! It seems there were lots of storms over the Northern Caribbean last night from a passing tropical wave. We had quite a thunderstorm here last night with a brilliant and awesome lightning show. It rained about 2.5 inches in about an hour! It felt like we were under attack! Glad that's all there was too it. My 80 pound German Shepherd was cowering under the bed during the storm. Today is a nice sunny day though. Skies are hazy today as the large Saharan dust cloud affects our area. Forecasters say it will be affecting Florida by Monday and that the dust cloud is almost the size of the continental USA. Take a look at this satellite loop. the system that passed the Leeward Islands yesterday and last night brought cloudy weather to St. Maarten. We had some rain but not too much. There was a lot of wind and distant thunder. I think Puerto Rico and the Virgin Islands got the worst of it. This morning the wind has died down and it is very hazy. Emily is very far South but we are already getting the first of numerous PASSING RAINBANDS...SQUALLS...AND TSTORMS. This weather is far removed from the inner circulation of Emily, but the wind is very high, the sea is churning and we are having a fierce thunder and lightening storm. Since I took these pictures, we now have a total white out. I cannot see a thing from my windows. I can just hear things blowing and banging. If this is not a hurricane, it sure is a good imitation of one. GREAT BAY, St. Maarten (GIS) ? Disaster Management Coordinator/Fire Commander Winston Salomon told the Government Information Service (GIS) on Tuesday that his office has been closely monitoring the progress of Tropical Storm Emily. Residents are advised to monitor the progress of Emily, the fifth storm of the 2005 hurricane season as it approaches the island chain. Tropical Storm Emily is expected to pass far South of St. Maarten or close to Barbados and the other islands in the Southern Caribbean on Wednesday evening. Emily is expected to become a Category 1 Hurricane before it reaches the island chain on Wednesday with wind speeds in the range of 74 to 94 miles per hour. The only weather conditions that St. Maarten could possibly expect to receive are Southerly sea swells. The Office of Disaster Management & Preparedness is urging residents to remain vigilant and to monitor weather reports on a daily basis in order to stay informed of any pending weather systems that could pose a threat to St. Maarten. The theme for this hurricane season is, ?Are you ready?? The Hurricane Season officially started on June 01 and runs until November 30. Cloudy skies for the past few days are finally giving away to some sunshine as Dennis' outflow leaves our area. We wish our friends and fellow correspondents in Jamaica and Grand Cayman the very best as Dennis passes through. GREAT BAY, St. Maarten (GIS) ? The Office of Disaster Management?s official Hurricane Tracking Chart for the public is now available. The charts are free and can be collected at the Government Information Service (GIS) which is located in the Ennia Building on the Longwall Road next to Caribbean Insurance Brokers, the Office of the Fire Department & Disaster Management located at Backstreet 56 (upstairs) in the vicinity of Angelo?s Boutique and the reception desk at the Government Administration Building. Other venues are being considered for the distribution of the official tracking charts such as the Philipsburg Jubilee Library. Entities interested in acting as a distribution point for the charts should call GIS at 543-1162. The tracking chart includes a foreword by the Chairman of the Emergency Operations Center (EOC) Governor Franklyn E. Richards, the disaster management organizational structure schema for St. Maarten, storm terminology, storm names for the 2005 hurricane season, how to track a storm system, hurricane preparatory tips, the emergency alert system, emergency numbers, and a listing of the 14 emergency hurricane shelters. 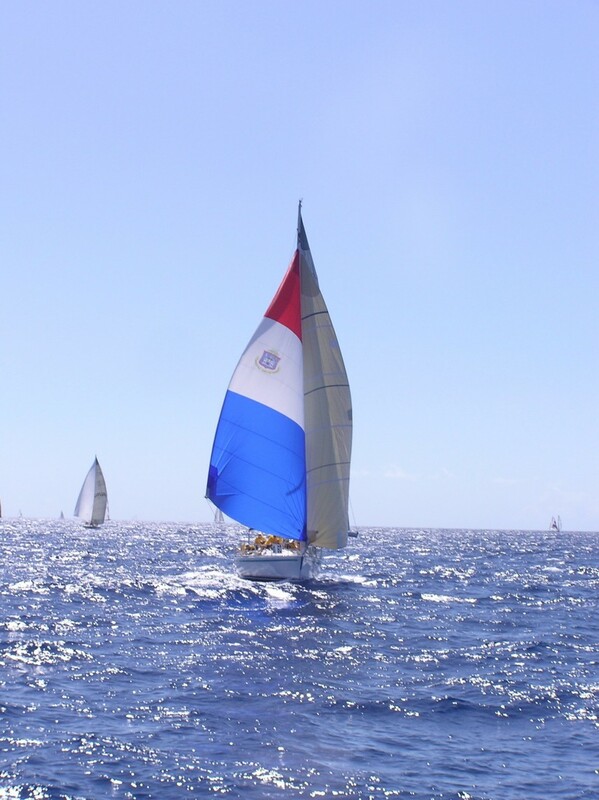 The tracking chart is a production of the St. Maarten Harbour Holding Company, GIS and the Fire Dept. & Office of Disaster Management. The first Tropical Storm for the season, Arlene, formed in the Caribbean Sea two weeks ago. Office of Disaster Management & Preparedness Coordinator/Fire Commander Winston Salomon, says residents should continue to make preparations for what has been forecast to be an active season. The theme for this hurricane season is, ?Are you ready?? The U.S. National Oceanic and Atmospheric Administration (NOAA) in its last Atlantic Hurricane Season Outlook called for 12-15 named tropical storms, with seven to nine becoming hurricanes, of which three to five could become major hurricanes with winds of more than 111 miles per hour. Residents should review their home protection and disaster plans to make sure that everything is in place or to use the current storm-free time to make preparations, Fire Commander/Disaster Coordinator Winston Salomon told the Government Information Service (GIS) on Thursday. The names to be given to tropical storms this year are: Bret, Cindy, Dennis, Emily, Franklin, Gert, Harvey, Irene, Jose, Katrina, Lee, Maria, Nate, Ophelia, Philippe, Rita, Stan, Tammy, Vince, Wilma. The Hurricane Season officially started on June 01 and runs until November 30. AREA FOR THE NEXT DAY OR SO. well, we have had those heavy rains here over night. It started last night around 7 PM with heavy rain and a fierce thunder and lightening storm that lasted for a long time. We had heavy rain throughout the night and this morning and right now it is stilled drizzling. My little back yard rain gauge measured over 4 inches! GREAT BAY, St. Maarten (GIS) ? Governor Franklyn Richards, Chairman of the Emergency Operations Center (EOC), is calling on the St. Maarten nation to prepare for an active 2005 Hurricane Season which officially starts June 01 and runs until November 30. ?History teaches us that a lack of awareness and preparation are common issues among major hurricane disasters. By knowing your vulnerabilities and what actions we should take, we can reduce the effects of a hurricane disaster on our self, family and our community. ?The Office of Disaster Management in conjunction with the Government Information Service (GIS) as is customary will execute a hurricane awareness campaign for this season. I am calling on residents and persons who recently have made St. Maarten their home to take stock and prepare now,? Governor Richards said on Tuesday afternoon. The U.S. National Oceanic and Atmospheric Administration (NOAA) mid-May issued its 2005 Atlantic Hurricane Season Outlook which calls for another above normal season. The NOAA called for 12-15 named tropical storms, with seven to nine becoming hurricanes, of which three to five could become major hurricanes with winds of more than 111 miles per hour. Professor William Gray?s latest revised forecast as of May 31 is in line with what the NOAA is forecasting, 15 named storms, eight hurricanes and four major hurricanes. Office of Disaster Management & Preparedness Coordinator and Fire Commander Winston Salomon, says we are ready with respect to the Island?s Disaster Management System preparedness level should a hurricane strike. ?Are you ready? This is the theme of the Office of Disaster Management for the 2005 Hurricane Season. Residents should review their home protection and disaster plans to make sure that everything is in place. ?The public is strongly advised to begin implementing their own hurricane protection plans by making sure their disaster hurricane kits are fully stocked; hurricane shutters are in good working order; and yards are cleaned of any possible flying debris,? Commander Salomon told the Government Information Service (GIS) on Tuesday. ?As a community, we should ask ourselves the question, are we ready? Do we have all the necessary preparations in place before the height of the hurricane season in August? If not, let us start making preparations from now! Don?t wait for the last minute to start preparing. On June 1, the opening of the hurricane season, ask yourself if you?re ready?? EOC Chairman Governor Richards said on Tuesday. Fourteen buildings throughout the island have been designated as Hurricane Shelters. These are, John Larmonie Center ? Philipsburg; Senior Citizens' Recreational Centre - Hope Estate; New Testament Baptist Chruch ? Philipsburg; Dutch Quarter Community Centre - Dutch Quarter; Christian Fellowship Church - Wellfare Road - Cole Bay; Raoul Illidge Sports Complex - Cay Hill; Salvation Army Building - Union Road - Cole Bay; Allan Halley Community Centre - Simpson Bay; Leonard Connor School - Windsor - Cay Bay; Leopold Bell School - Union Road - Cole Bay; Genevieve de Weever School - Hope Estate; Sr. Marie Laurence School - Middle Region; Milton Peters College - South Reward; Hillside Christian School - St. Peters. Jose, Katrina, Lee, Maria, Nate, Ophelia, Philippe, Rita, Stan, Tammy, Vince, Wilma. On Tuesday afternoon in the office of Governor Richards, a joint project of the Office of Disaster Management, the GIS and St. Maarten Harbour Holding Company (SHHC) entailing a hurricane tracking chart with pertinent information, was presented to the Governor by Disaster Coordinator/Fire Commander Winston Salomon. Also present were GIS Interim Department Head Marsha Beauperthuy and SHHC Managing Director Mark Mingo. Winston Salomon: ?This is the first time that the Office of Disaster Management in a joint effort with the GIS and SHHC has developed a Hurricane Tracking Chart for the St. Maarten community. The objective is to bring about awareness within the community. Not everyone has a computer, and this tracking chart will be an invaluable tool for the season. Shortly we will announce where it will be available. We also intend to have it distributed via the schools as well,? Salomon stated. Governor Richards: ?It?s a good idea and a good tool to make us aware. I would like to take this opportunity to thank our corporate sponsor SHHC Managing Director Mark Mingo for a playing a role in this project,? Governor Richards said. SHHC Mingo: ?Last year we also published a hurricane tracking chart, but this time we decided to work together with the Office of Disaster Management and the GIS on this project. This demonstrates how the corporate community can work together with government departments on different types of projects entailing creating awareness within out community,? Mingo stated.